In the past month I was on a road tour heading down to San Diego from Kelowna BC and as I headed into Salem Oregon I decided to visit West Coast Classic Cougars. 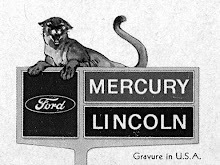 In the past few years I have procured many parts form West Cost Classic Cougars and I decided to visit this Holy Grail of mercury Cougars. Don Rush the owner of West Coast Classic Cougars gave me and my wife a personal tour of his facility and I was very impressed with the size of his operation and the many parts that he and his team have parted out. The very best of the trip was the viewing of a 1969 Mercury Red Convertible with an original Mercury CJ 428 engine which Don Rush was preparing for Barrett Jackson’s. Dons hospitality was appreciated and his tip of heading down the Oregon coast was the highlight of our next day’s driving. If you get the chance visit Salem Oregon, I recommend visiting West Coast Classic Cougars and say hi to Don Rush and his team. 1968 MERCURY COUGAR GT-E 427 W CODE EXTREMLY RARE FOR SALE!!! 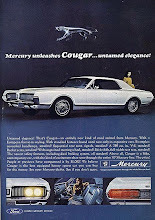 Kelowna Daily Courier - Was the Mercury Cougar a better Mustang? New seat skins - Many thanks to Byron Houston for his patience and excellent work restoring the front bucket seats and the rear. I can't wait to get out on the road. mobiletechreview.edublogs.org/ - HTC is the leading mobile company which is known for manufacturing the best and the finest smartphones. New Ownership check out www.okanaganpizza.ca Everything has Changed!! Mortgage Home Purchase Kelowna Philippe Daigle Kelowna Westside, First time home buyer.